The Oculus Rift is arguably the best VR experience around, but that doesn’t mean it doesn’t still have room for improvement. The Facebook-owned company today announced it has enabled a new technique called Asynchronous Timewarp (ATW) to reduce jitteriness from your head motions by a factor of 20 to 100 times on Windows PCs. Though the full technical explanation is a little complicated, the basic idea is fairly simple. Normally VR games are displayed such that the gameplay and the effects of your head motions are rendered simultaneously by your GPU and processor. That’s all fine and dandy with perfectly consistent framerates, but it’s often not the case in practice. 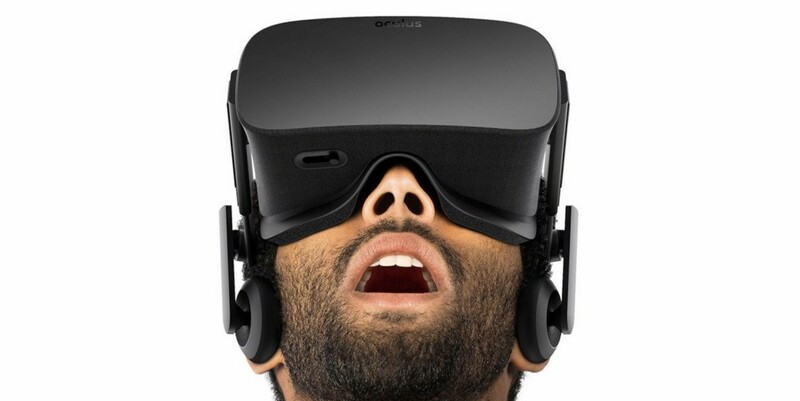 Any bumps in the processing that can’t keep up with the Oculus’ 90 fps refresh rate will result in some unwanted lag. ATW promises to prevent such issues by separating the processing for your head motions and overall graphics rendering. It basically means that if your computer stalls on rendering your game’s next frame, the Rift will be able to pre-emptively adjust the 3D image to account for your head’s movements. Even if the game itself lags, Oculus will always adjust the image for your head movements so that you don’t lose that sense of immersion. Diagram showing how ATW can smooth laggy framerates. The company says frame rate dips in its launch titles meant gamers were losing about five percent of frames; with ATW, Oculus is able to fill in those gaps with your head movements, “resulting in judder reduction of 20 – 100 times.” Better yet, Oculus claims the technique adds no performance overhead to games and apps, requires no code changes, and will be improved further in the future. Interestingly, though Samsung and Oculus’ Gear VR is under-powered compared to the full desktop rigs behind a Rift system, it has featured ATW for over a year. That’s likely because Android doesn’t have to handle as many simultaneous tasks as Windows does. Oculus says it’s had to work closely with Microsoft, Nvidia and AMD over the past year to make changes to Windows, GPUs and drivers to enable ATW; the latest Windows 10 builds include code to specifically optimize the technique, so Oculus recommends you upgrade if you haven’t. Good timing too: the Rift finally started shipping to customers today, so it’s nice to see consumers getting an even better experience than what the press and developers have been trying for the past several months. For a more technical explanation, head on over to the source link below.